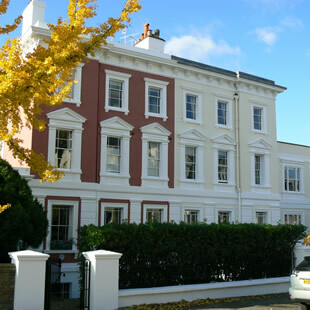 Best Cleaners London is able to offer you first class end of tenancy cleaning service in Finsbury Park, London. If you near the end of the tenancy period then you might want to consider booking professional end of tenancy cleaning services. This type of services has become really popular lately and many tenants take advantage of it in order to get their deposit back from the landlord. Of course, this service is also used by many landlords who want a quick and efficient way to prepare their place for their next clients. I never thought that something like an end of tenancy cleaning can take so much time. Thank you again for helping me at the last minute. End of tenancy cleaning is one of the most exhausting and tedious cleaning jobs you can think of. The main reason for this is the fact that it covers all areas of your home and it is nearly impossible to clean absolutely everything unless you have the right training and equipment. Leave this job to our trained and experienced workers and we guarantee that you will be more than satisfied with the results we achieve. Making me do end of tenancy cleaning was my landlord's way of getting it back to me for the loud music. Luckily, I found a back door – your company. End of tenancy cleaning had to be performed, but it wasn't specified it had to be me. Thanks for the help, you guys. We’ve been one of the leading names in the London cleaning industry for several years and our cleaning services are well known for their reliability and efficiency. Achieving such results wouldn’t have been possible without the help and devotion of our cleaning teams. We have gathered some of the most reliable and experienced cleaning operatives in the area. Each one of them has been properly trained before being sent on any assignments, so you can be sure that your home will be cleaned by trained and experienced workers. tenancy cleaning package we offer. 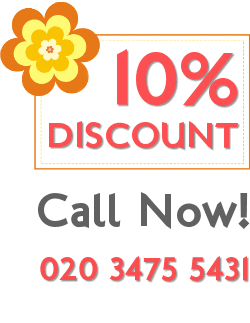 We offer the most affordable prices in London and thanks to the flexibility of our service, you can include or exclude different cleaning jobs from the end of tenancy cleaning package. This means that you can have a fully personalized cleaning service that completely fits in your budget. Our end of tenancy cleaning team operates in the Finsbury Park area, so don’t hesitate to give us a call if you want your home cleaned according the highest cleaning standards. 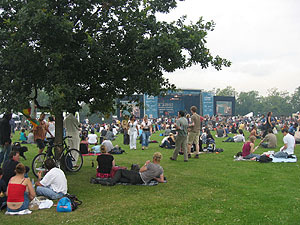 Finsbury Park is one of the major residential areas in the northern part of London, and it is best know for the Finsbury Park station, one of the largest rail, tube and bus interchange in the UK. Right next to the station is the 110-acre public park which is one of the best places for rest and relaxation in the area. Finsbury Park has turned into one of the best places for shopping thanks to the large number of shops and fashion boutiques situated there.